This round highboy bar pedestal table is made out of a hard wood and comes with a vinyl edge. Generally as a dining table, you can fit the following persons at each table: four comfortably, five possible. 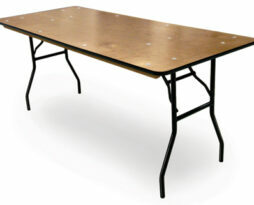 A 132″ round tablecloth is floor length (formal events) on this table for 30″ and 36″ pub table table tops. If you plan to martini the tablecloth with a chair tie, than a 30″ tabletop and a 132″ tablecloth is necessary. 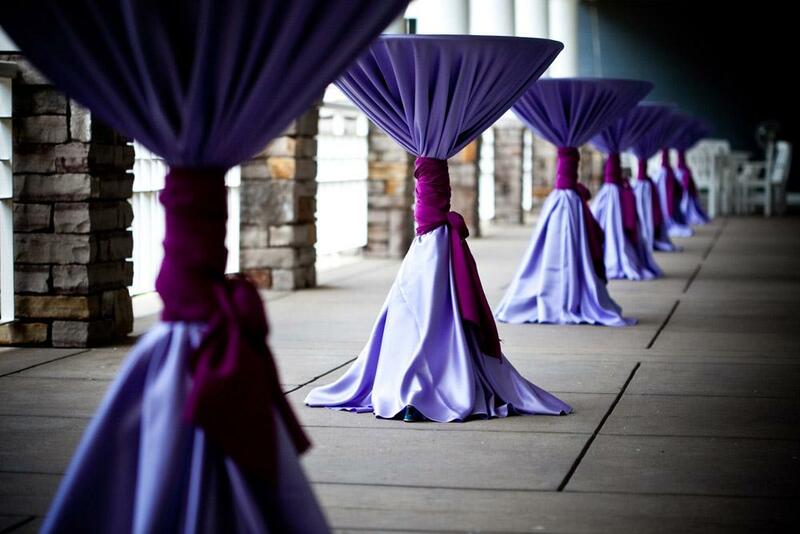 A 120″ round tablecloth is barely (3″)on the floor (formal events) on a 30″ table top and 1″ off the floor (formal events) on a 36″ bar height table top. We do not recommend using any other sized tablecloths for the round highboy bar pedestal table unless it is a spandex stretch tablecloth. 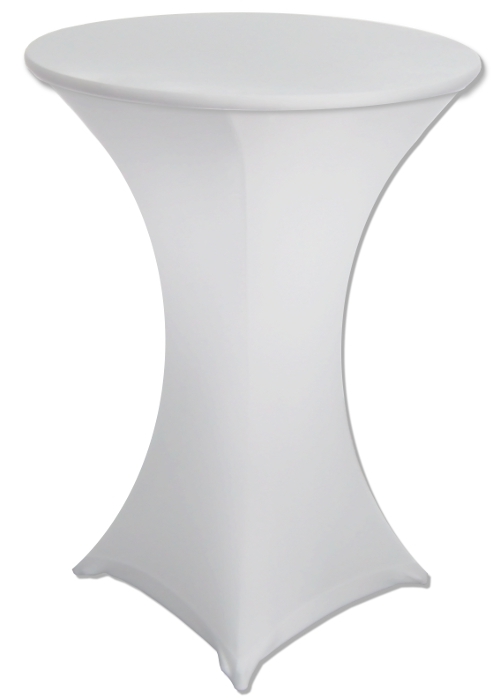 This round highboy bar pedestal table (also known as pub table, bar height table, hiboy table, pedestal table, cocktail table) is a staple for rental on any Chicago special event. 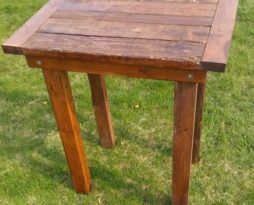 This table is versatile in function and can be used for just about any purpose. This table is common for use in wedding receptions, corporate parties, corporate meetings, corporate mixers, tradeshows, in tents, anniversaries, or any other purpose where having a place for people to gather is the intended result. The dimensions on this round highboy bar pedestal table rental for your Chicago special event are either: 42″ inches tall (standard bar height) with either a 30″ round or a 36″ round table top. 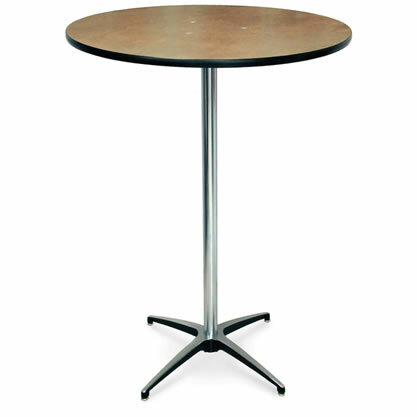 Common usage is with a 30″ round table top for the bar height table. 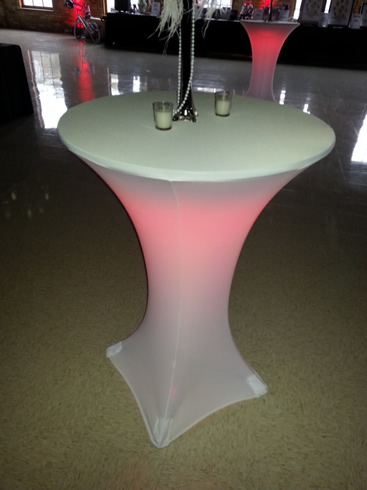 Many events use a specialty bar height chair with this table. 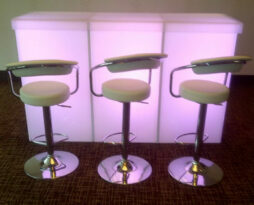 See the Bar Height Chairs section for those options. See our linen rentals as an add-on product to dress this staple item in style.